For any sort of corrosion protection system to operate effectively, surface preparation is always the key. 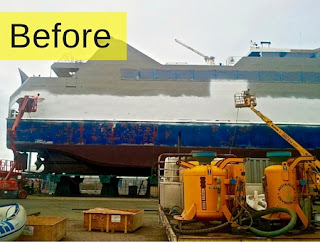 Protective coatings need to be able to adhere to a metal or steel surface properly if they are to do their job of keeping rust and other types of corrosion at bay, and this means all forms of contaminants need to be removed before applying paint and/or protective coatings. However, it’s not just a matter of a surface being clean – it also needs to be profiled in such a way that the coating can adhere to it effectively. Abrasive blasting is a flexible and precise approach to surface preparation which enables metal, steel and other surfaces to be profiled to meet your precise specifications and requirements.